Nowadays guns are commonly used in battle but humans have been fighting wars since long before guns were invented. These were the weapons that humans use to use before guns were introduced to the battlefield. The dreaded sword and whip combination. 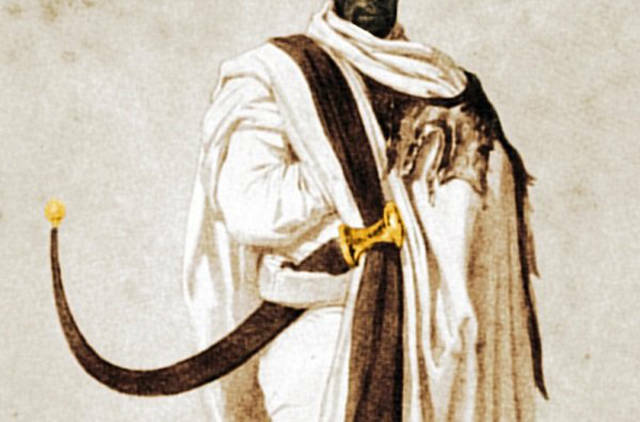 These blades were anywhere from 3-5 meters long, and could wrap around the wielders waist like a belt. With sharp ends on both sides, this weapon was extremely dangerous for both the attacker and the defender. 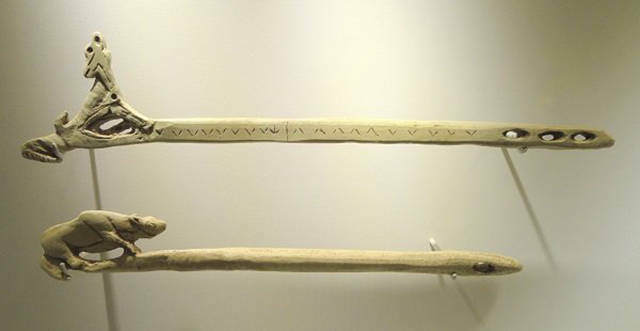 A dart weapon from the Stone Age. This baby could launch darts at a swift 100 mph. This weapon was so effective that theorists believe that they contributed heavily to the extinction of the woolly mammoth. 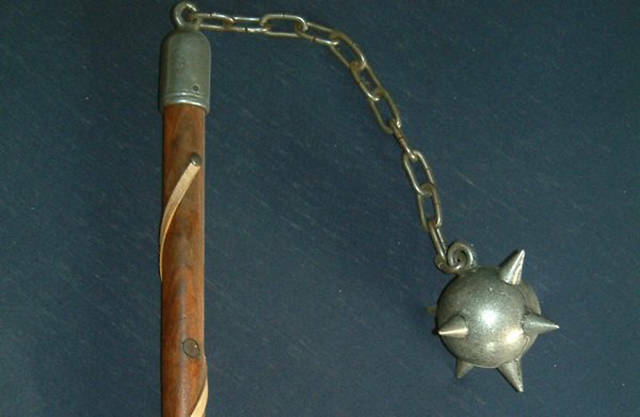 The flail was a wooden or metal shaft with a chain and spiked ball attached to it. When used properly it would cause major damage. 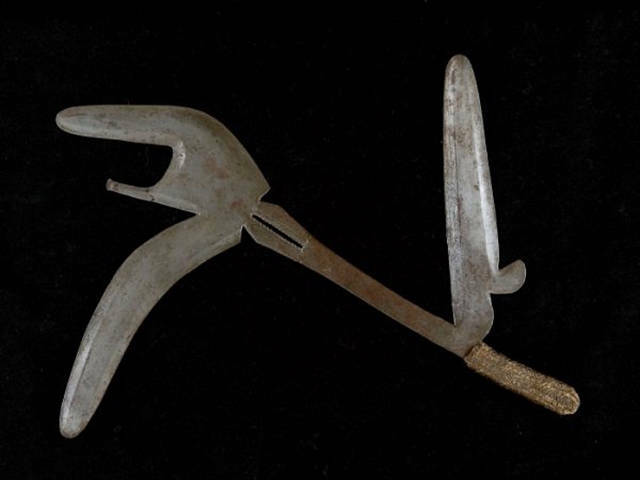 This Ancient Indian weapon was wielded by their warrior class, the Rajput. Blades on both ends made it easy for both trusting and slashing. 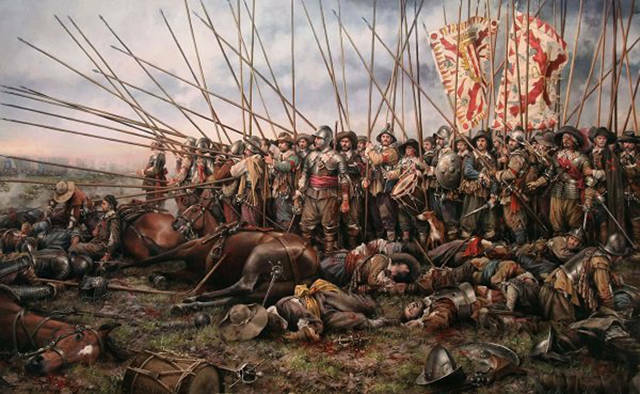 Though they were impractical for close range combat, pikes were effective in holding off or piercing through a wall of people when used in bulk. 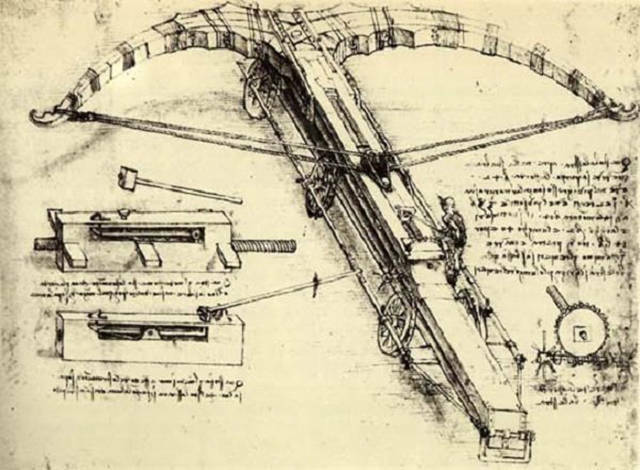 This ancient weapon was a sort of crane with a grappling system. It was used to literally grab ships that were getting too close to their borders. 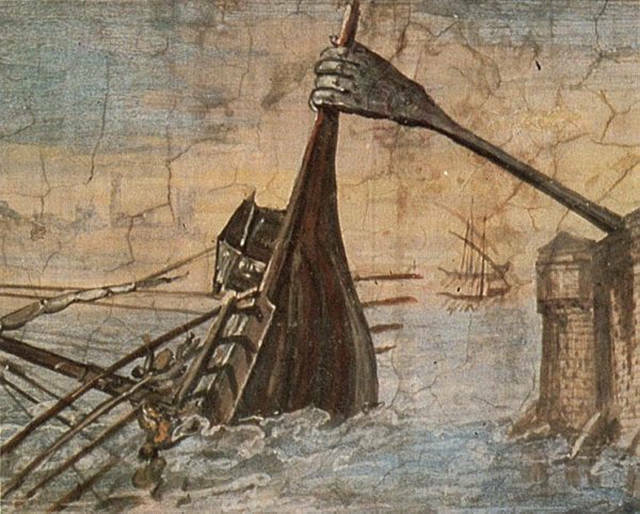 The ships were then capsized or dropped causing serious damage. This was a substance that allowed fire to burn on top of water. It was an extreme advantage during sea combat. 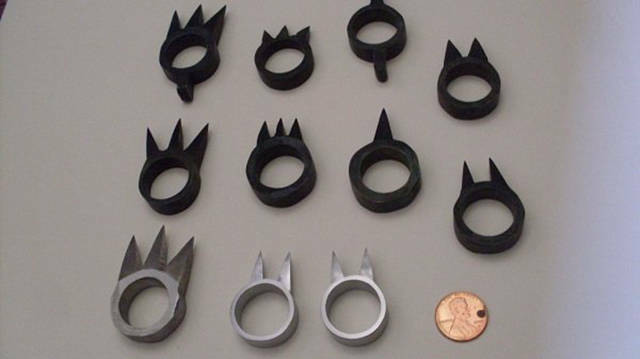 These spiked rings were used in Ancient Japan. Although you would think they would be used almost like brass knuckles, they were mostly turned inward, so that you can grab someone by the neck or limb while the spikes sink into them. 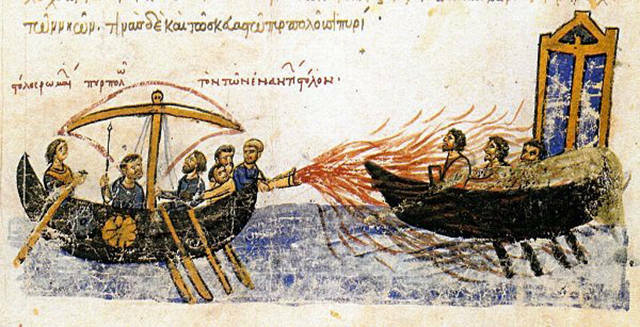 A fire ship was essentially a wooden kamikaze attack on water. 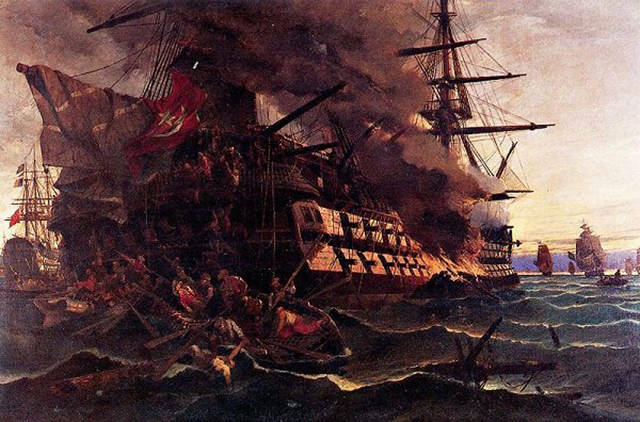 The ship would be filled with combustibles, set on fire, and set to drift into enemy fleets. 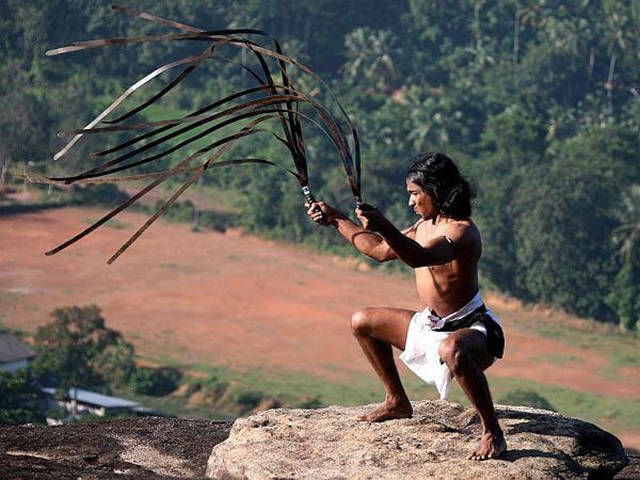 African tribesmen used this weapon like a demented boomerang. Used in Ancient Ethiopia, this sword had a unique curve that made it extremely difficult to block. The curvature allowed you to attack around a shield. However it also made it extremely difficult to use. You could say this was a very early version of a gun. It shot more accurately, but took a lot more time to reload compared to your standard bow and arrow. 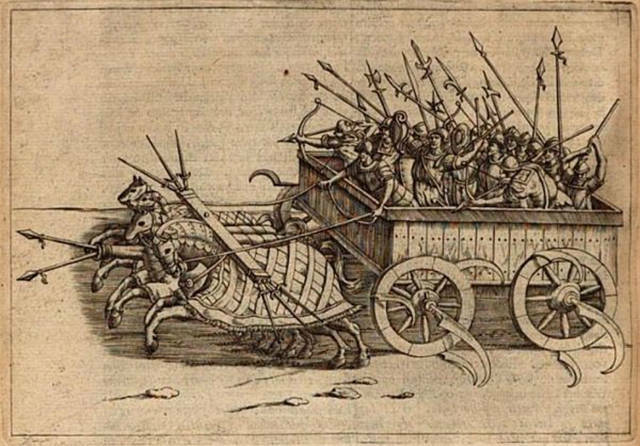 As seen in the movie “Gladiator”, these chariots were equipped with blades sticking out of the wheels, which would chop through almost anything in its path.